Weight Loss Camp in Las Vegas… Over 400 Lbs Can’t Walk! Morbidly obese man on a mission to regain physical mobility and lose 100 Lbs. at residential weight loss camp in Las Vegas. Disclaimer: Weight loss camp results from significant nutrition and exercise efforts vary per individual. At 455 Lbs, he embarked on a 112-day weight loss journey at weight loss camp in Las Vegas. His faith and his body become stronger and fitter day by day. This is a journey of faith and focuses on a man debilitated by morbid obesity and sedentary lifestyle. Success comes quickly when you do all the right things at the same time. In addition to his own weight loss walk of faith and fortitude while at weight loss camp in Las Vegas, Corey has started a weight loss ministry serving a local fellowship and his church congregation back home. 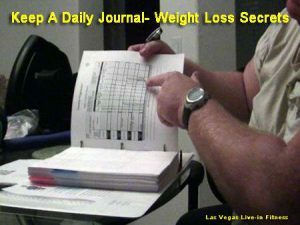 As they follow the daily disciplines as he is doing at weight loss camp in Las Vegas, they, too lose weight. Three times weekly, he served up the devotion alongside his fitness coach, Debra Stefan to lead those inspired by his progress. This added another level of accountability to his program as a leader setting the example. Daily focus is on nutrition and fitness at Las Vegas Live-in Fitness Retreat Camp. His faith in his own abilities to overcome physical obstacles and hard-wired eating habits started out the size of a mustard seed. The Lord has shown a miracle to this good and faithful servant and blessed him with a new level of fitness that will challenge most athletes for power and endurance. Speed? We are working on that, but we aren’t done yet! Results from significant nutrition and exercise efforts vary per individual. Faced With Morbid Obesity and Life-Threatening Disability he opts for Weight Loss Camp in Las Vegas. How he became Morbidly Obese. Prior to deciding on weight loss camp, a former athlete and collegiate wrestler gradually slipped into a sedentary lifestyle for 20 years due to his dedication to driving for the family trucking business. To compound the situation, a year and a half ago a serious motorcycle accident resulted in 6 weeks of hospitalization. The debilitating pain and muscle atrophy caused Corey to slip even further down the spiral of inactivity and weight gain. Long after healing, with a body weight that teetered 450 lbs, he found that he was unable to regain his former abilities. The good news is that even for a 430-pound man, exercise is the medicine for fitness and weight loss. The answer to how training should begin for a person of any age or condition is to assess and then progress. Corey’s first week of progress should encourage just about anyone who faces the challenge of regaining health and fitness. Almost immediately upon beginning his live-in weight loss program, Corey is seeing dormant muscle and motor movement reactivating. Daily personal bests are occurring with each workout. Each day’s workout progress is astounding. The human body craves and thrives on movement. With a tentative approach, my goal as his personal trainer is to discover his capabilities beginning with the least challenging exercises and progressing until he reaches a level of reasonable effort. A positive sense of accomplishment builds for the next successful achievement. Each approach is a revelation for Corey to learn that he can actually activate dormant muscle and realize capabilities he hadn’t used in years. The UBE upper body ergometer or arm bike was his first exercise session. Seated in his special chair (rated for 500 lbs) he works a bilateral hand crank with adjustable resistance varying his RPMs. This method of cardiovascular conditioning is said to be 50% more beneficial than treadmill exercise. The best thing about it is that it allows him to work in a non-weight bearing position and still increase his heart rate for conditioning. The catalyst for increased benefit is the addition of oxygen. Corey hand bikes while breathing concentrated oxygen. The clinical recommendation is 20 minutes for energizing and recovery. First thing upon arising and after each workout, he exercises while on oxygen. Basic Kettlebell technique was learned with two-handed swinging practiced first with ten pounds, then progressing to 18 and 26-pound kettlebells. Short bouts of all exercise drills followed by sitting on the exercise ball allowed Corey to recover from the leg fatigue under his 429 lbs. He seems to do better during locomotion drills rather than static standing. This could be that he is preoccupied with the motor coordination or it could be that weight shifting is just enough to change of leg pressure to allow him to continue longer. Both concepts are positive factors in getting him to increase activity duration. With that same concept, I have Corey doing walking drills while whirling a jump rope with a figure eight pattern in opposition to each step. He does it well and claims that the additional upper body can be felt in his core as well as adding cardio effort. The best body activator has proven to be the balance work. Right after the arm bike workout in his support chair, I then progressed him to a seated position on an exercise ball. The ball being used for Corey is a 75” Duraball Pro that is 2,000 pounds rated and burst proof. From a simple progression of sitting to weight shifting, he was able to roll himself out on his back and then roll up to a seated posture while activating his core muscles. This ball is now his seat of choice. His very first weight workout was done while lying on the ball. He did dumbbell chest presses, flyes, and pullovers. It went exceedingly well and my assistant trainer agreed that he had never seen a client adapt so readily to these challenges. Porting around the additional weight has given him certain strengths. It was a very encouraging first day of training. The Bosu Balance Trainer was our next adventure. This has proven to be the fast track to strengthen the feet and lower extremities along with increasing balance. With the Bosu in the middle of a doorway, Corey was able to begin his progress by holding onto both sides of the doorway. He practiced step-ups and then achieved 30-second static stances until his feet and legs burned and he had to stop to sit for recovery. With each of the last seven days this week, Corey’s performance ability has increased ten-fold. Corey is up to good stewardship in regaining his bodily temple. Visual results can be witnessed and the photos show dramatic improvement. Corey has completed his first of four months at weight loss camp in Las Vegas.